Technology and science are inextricably connected to more and more of our lives. From cars to toasters, what used to be simple machines now contain computers. Everything is getting smarter and smarter, requiring a deeper understanding of the underlying technology that makes everything run. While these advances affect all of us, they will have the largest impact on our children, who will eventually find themselves working in jobs that we cannot even imagine (in fact, many have not yet even been invented). Eventually, it is our children who will be tasked with designing, building, maintaining, troubleshooting, and fixing all of the technology that makes our society work. In order to prepare our children for a future that is rapidly changing, and which is likely to be STEM-filled, it’s a great idea for parents to begin laying a foundation early so that, as their children grow and progress through school, they’ll be ready to embrace experiential learning and age-appropriate technologies. Below, we explore some of the important reasons that early STEM education can be positive and offer some tips to parents who wonder how to introduce their young children the concepts of STEM. STEM stands for “Science, Technology, Engineering, and Mathematics,” four academic areas that are closely aligned in their subject matter and application. Sometimes, the term STEAM is used in place of STEM, where the A stands for the Arts. This may seem like a strange inclusion, but is, in fact, a natural addition; art does, after all, impact nearly as much of our daily lives as the other subjects, as can be seen in the design of nearly every object around us. While a well-rounded, liberal arts education is essential for all children to develop into well-rounded students and adults, STEM-based learning is also an important preparation for their futures in our increasingly tech-centered society. But why is starting early so important? Can’t a focus on science and mathematics wait until a child is in elementary school, or at least in kindergarten? Many children are not exposed to STEM until they are already enrolled in preschool, kindergarten, or first grade, and for the most part, they will do just fine. But starting early brings with it many advantages that are hard to overlook. Infants and toddlers have brains that are primed to learn and grow. Recent research from Harvard shows us that in the earliest years of life, children form more than 1 million new neural connections each second. This means that in their preschool years, children are perhaps more primed to receive new information than they will ever be again. Encouraging scientific exploration now, when a child’s mind is actively and rapidly growing, allows a child to take advantage of this unique period of time and lay the groundwork for STEM education that will benefit them for years to come. When the above information taken into consideration, it is easy to understand why parents of young children naturally want to know how they can begin introducing their children to STEM. 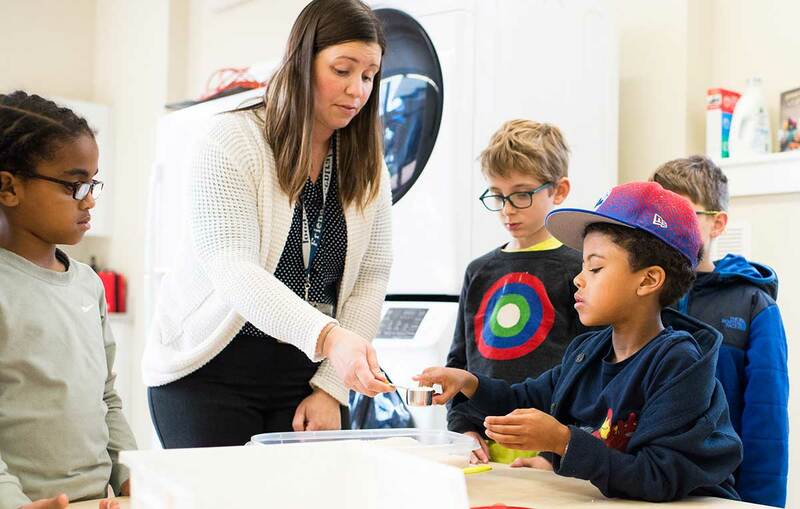 Typically, this can be achieved in one of two ways: by bringing STEM into the home, and by ensuring that STEM is prioritized in the classroom (for preschool and school-aged children). When it comes to preparing our children for the tech-laden world that they will need to learn in, work in, and interact with as they get older, it is never too early to begin laying the solid groundwork that they will need to be successful. By ensuring that STEM is prioritized both at home and in the classroom, parents can empower their children with the skills and knowledge that they will need to be successful as they age and grow.